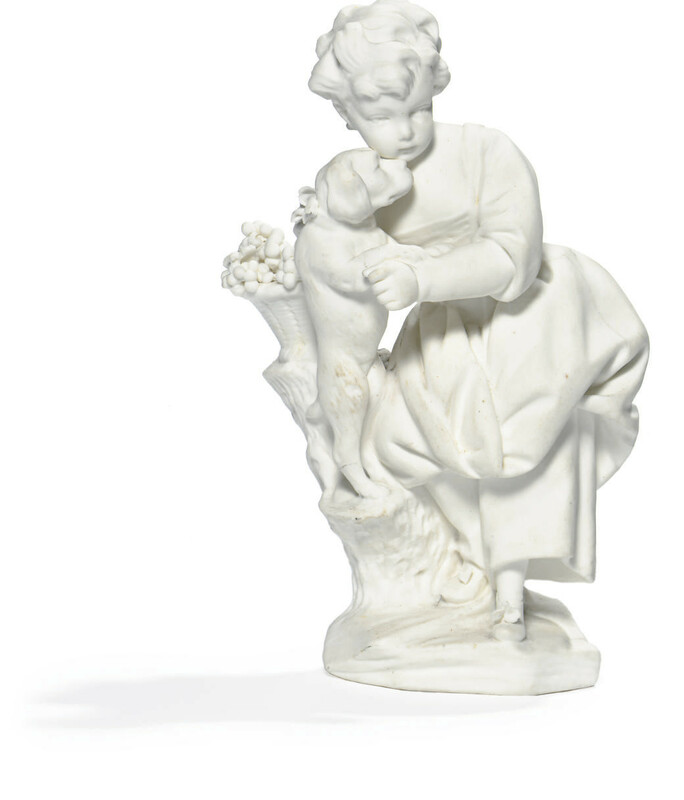 Property from a Distinguished Collection; Arts of France, Christie's, New York, 21 October 1997, lot 96. Jean-Jacques Bachelier, active at Vincennes and Sèvres 1748/51-1793. The JB monogram on biscuit figures was employed solely while he was directeur de sculpture from 1751-7 and 1766-73. The self-proclaimed inventor of biscuit porcelain (1749), Bachelier was directeur artistique (decoration) 1751-1793. This position included the supervision of the atelier de sculpture until 1757 when Falconet assumed these duties, and again in 1766 upon Falconet's departure for Russia.